Solid and consistent right-back Nigel progressed from the youth team to make his debut in 1984 in the UEFA Cup against Sparta Prague. He spent his entire playing career at Watford, a period of 20 years, which included two testimonial seasons. He is second in the list of total appearances for the club and won the Player of the Season award in 1992. He also spent a period on the coaching staff of the club under Ray Lewington. Most recently working with Paul Clement at Swansea City, Nigel spoke to Watford Legends while coaching at Reading in 2008. Hi Gibbsy! How did you end up at Watford in the first place? My dad was working at the club as a part time scout and a coach and he was working with Tom Walley quite closely. After about six months he spoke to Tom about me then he came along and had a look at me and that was how it got started. How did you get on with Graham Taylor when he first came in? Every school holiday you came in for a couple of weeks and as you got a little bit older he took a little bit more interest in the younger players. Obviously we were in awe of the man because the club were so successful and doing great things. As he took an interest in the youth, it benefited him greatly as everyone came through. Can you remember your debut clearly? Yeah I can. I played a couple of games in the reserves and was doing ok. They’d signed David Bardsley and three days before my 18th birthday I got offered a professional contract but I wasn’t sure where I stood. Literally three days after that on the morning of the Sparta Prague game in the Uefa Cup I got told I was in. I didn’t really have the chance to feel anything as I was told on the morning of the game, so I went home and had a bit of a rest and then played. It was an amazing feeling and I can remember it to this day. We lost 3-2 but I played ok in the game and it was just so brilliant to play. You were at Watford a long time, from the youth team to the coaching side. I was there 23 years – 20 years as a player and three on the coaching side. I’m very proud that I’m the longest serving player in the history and also it’s not widely known but I hold the record for the most number of starts. Obviously Luther holds the record which includes substitutions but I made the most starts. But not many goals, is there any goal that stands out for you? I’ve never scored inside the box and at the time it was quite amusing as I scored twice against Darlington in one season so we decided they must be the unluckiest club in the league! The one at West Brom won the game and my first goal against Newcastle where we also won the game. I can remember them all as there were only seven and I wasn’t prolific as you say; one every three seasons. Do you think it felt different for you scoring one every three seasons as opposed to a striker scoring week in, week out? It’s the best feeling in the world and I’m sure the more they do it the more they want it as it is a drug and nothing beats scoring a goal. Obviously I would like to have scored more. I was quite prolific in the reserves and in training but I never really managed to do it in the team but certainly you get a massive buzz from scoring a goal. You played with Watford when they were in the old First Division and then when they went back in 1999 after a few years away. Were there any noticeable changes for you? The media coverage was totally different. When you are in the Premier League it is different to the Championship. They are still talking about the previous weeks game on the Thursday where as in old days there was coverage in the Sunday and Monday papers but that was it. There was also a lot more foreign players, more quality players in there and the pace of the game had changed as well. It seems a lot quicker looking at it, was it like that as a player? It did and the size of the players as well. There were two kinds of players when I first started out, footballers and athletes, and you never had the combination. That’s certainly changed! I remember looking at the Arsenal players when we walked out at Highbury in the Premier League and they were all six foot plus and athletic and that applies to all footballers now, so that certainly was a big change and very difficult to contend with. Is there a particular player that you came up against that you found the most tricky? The one that springs to mind is Peter Beagrie. He gave me a tough time for a game at Stoke. He was a very skilful player and I had a particularly bad half against him. I got a gee up from the manager at half time and did a lot better against him in the second half. Ryan Giggs and Mark Overmars were very pacey players, excellent players, where you really had to be on your game. There were quite a few but those ones spring to mind straight away. Is there one player who you didn’t necessarily play against but who was on the same pitch who you thought was a great player? Luckily I caught a little bit of Dalglish. He was an amazing player. Glenn Hoddle was another. I was very fortunate in that I played with Paul Gascoigne and the other one who was closer to home was John Barnes who is without a doubt the best player I‘ve played with. I actually played against him a couple of times as well. As you spent a long time at the club did you have any opportunities to leave? Did other clubs come in for you? There were a couple of times that I felt I needed to move on or would benefit from moving on. Back then in the Second Division there were supposedly First Division clubs who were interested. I had no regrets about not moving on and the club didn’t want to sell me. I was under contract and in those days when they said you’re not going anywhere that was the end of it whereas nowadays it changes quite a lot. It was a case of the manager says he needs me so I’ll stay. I actually did get released and given a free transfer but I stayed with the club, it was a difficult time for me. You often hear rumours but normally I was a regular in the team and the people at the time didn’t want me to leave so I was happy playing my football there. I played over 100 games in the old First Division and I played in the Premiership, all with Watford, where I wanted to be. How have players throughout the years felt about the relationship with Luton Town? I had to educate a few along the way to be honest. Being brought up in St Albans some of my family support Luton, some support Watford. It’s a friendly rivalry for me. I enjoyed the games against them and wanted to beat them as that’s what it’s all about. I’m a big fan of derby games and being a part of it, obviously not the nasty side of it, but when players come from abroad or up north they didn’t really know of the derby. 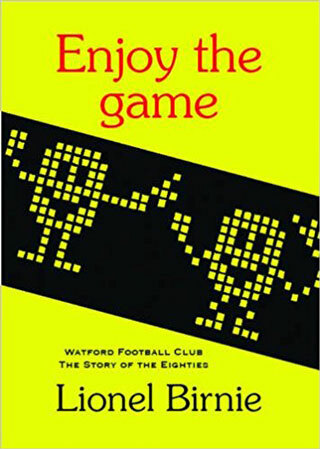 They saw Watford as a London club so it meant more to me than for a lot of them. They did understand the importance of it for the fans especially with the build up in the press. How did you find your relationship with the Watford fans? Brilliant! Still now I have a great relationship with them. It was a big disappointment that I wasn’t able to say goodbye when I eventually left the club but when I go back now I’m well received. They were fantastic to me. Being a supporter as a boy I knew what they were about. I gave 100% and although I wasn’t the best player in the world that’s what they wanted to see someone who’ll have a go. Are you looking forward to going back there this season with Reading? Yes I am. Disappointed to get relegated but looking forward to the two games against Watford and hopefully we come out on top. So I take it they are the only two games this year you want to lose then? Ha ha. Obviously my loyalties are with Reading now and it’s really important that we win those games. I assume you are unable to talk about what happened when you left Watford? No I can’t but I can say that I was disappointed with the way that it happened. How’s it going for you at Reading as one of their coaches? I’m really enjoying it. I had a year out where I did my pro licence when I left Watford and then I got offered the job at Reading. I’m really enjoying it. It’s very similar to Watford, really good staff and supporters. I had two years working in the Premiership with Premiership players. I take the reserves and we won the Premier Reserves League in my first year and hopefully some of the younger players progress into the first team. Steve Coppell is a very good manager and could easily be the England manager in my opinion but won’t want it because he doesn’t seek the pressure and hasn’t got enough ego to want to do it. He enjoys his football and is a brilliant manager and can hopefully take us back up this year. Coppell seems to be a nice bloke and intelligent about his football but doesn’t seem to be the sort to throw teacups around. What’s he like in the dressing room if things aren’t going well? He’s very clever with what he does and when he speaks everyone listens. He’s very articulate in what he says and he knows the game inside out. He has got an unbelievable sense of humour but he obviously won’t show that to the press. He knows what he’s doing and if he needs to let them know they are not doing well he will do it in his own way and they respond to it, but he’s certainly not a teacup thrower. In recent weeks you’ve played for Watford in the Masters. How did you enjoy that? Absolutely brilliant. We played two years ago and got into the final and were disappointed not to be invited back so this year we wanted to do well again so we could get another invite. It was great to see the old players and we did ok. We very unfortunate to lose in the final and there was another good turnout from the Watford supporters which was great. Kevin Miller said it was great just to be on the pitch watching Hessenthaler kicking everybody. Did you enjoy that? It was great just to be on the pitch and it brought back memories where he played like that every game. Nothing changes with him whether it is six-a-side or eleven-a-side he just plays with passion and heart. It was great to catch up with them all and when you step on that pitch you just want to win. 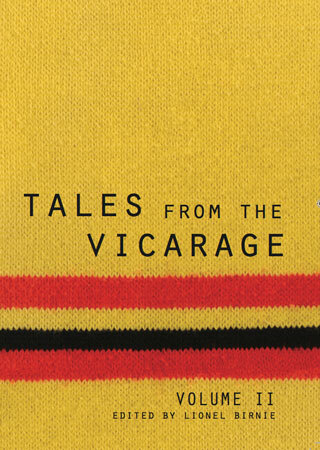 Is there anyone from your Watford days that you still see? I’m very close to Kenny Jackett and I still speak to Luther quite a lot. I’ve also kept in touch with Steve Butler, Andy Hessenthaler, Steve Palmer, Craig Ramage and Nicky Wright. Obviously people move on and you don’t get to see them as much anymore.